Another year means another batch of adaptations to either enchant or disappoint us all—or maybe just me. 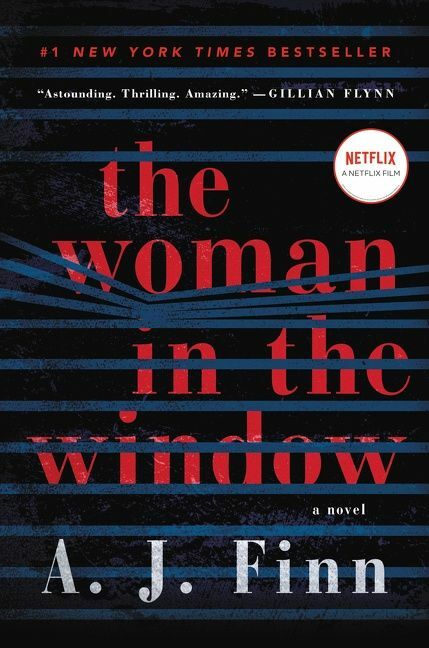 As it’s only the first week of 2019, all the movies coming out this year haven’t necessarily been announced; however, of those that have, here are some of the big book-to-film adaptations coming out this year that you may want to mark on your calendars. Patrick Ness is one of my favorite authors. I have no idea how I haven’t read this series yet. I feel like I have to, now… Tom Holland and Daisy Ridley? Say no more. Seriously. However, I’m worried because the title of the film is the name of the trilogy. Are they jamming all 3 books into 1 movie? Yikes. I hope not. Based on: The novel of the same name. This film was literally adapted before the novel was even published. Why? Probably because it sounds like The Fault in Our Stars. And of course they cast Cole Sprouse. How am I supposed to resist it now? Not sure if I’ll read or watch it. But if I do, it’s probably for Cole. I’ve seen the trailer for this film multiple times but continue to remain uninterested. I’ve never read the novel, but again, the premise just doesn’t really entice me. I do know there’s a lot of hype for this one, though, so hope you all enjoy! There’s no trailer yet, but just knowing Charles Melton stars in it is enough for me to be excited! I actually haven’t read the novel yet, but it is on my TBR for this year. I enjoyed Nicola Yoon’s Everything, Everything, so I expect to like this novel as well. Just need to read it before May! This one comes from Disney and is also not something I’m interested in. The first book in this series came out back in 2001. I never read the novels and don’t intend to. Do you think they’ll adapt all 8 books? This was a book I checked out of the library at least a dozen times as a kid. Pretty sure this was a staple for all 90s kids. I’m interested to see how it fares on the big screen. The film’s description on Wikipedia gives this summary: “A group of young teens attempt to solve a mystery that involves a series of spectacularly horrific deaths in their small hometown.” Maybe it’ll be kind of like a Final Destination kind of movie? Nonetheless, I’m excited. 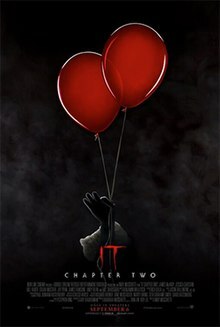 Part II of the terrifying It comes out this year. I’ve seen the original, but have yet to see Part I of the remake. I heard it’s great, so I really need to get on that… I haven’t read the novel yet, either. Man, I’m so behind. The novel has been on my TBR since it came out a year ago. I’ve heard good things and hope to both read and see it this year. It looks like Amy Adams is the leading lady—she sure is becoming the screen queen of adaptations! Call of the Wild is not terribly interesting. It’s alright, but I can’t see myself sitting down and watching 2 hours of an adaptation. Harrison Ford is pretty cool, though, so we’ll see. I have also read that All the Bright Places and Let It Snow: Three Holiday Romances might also be adapted this year, too. There’s just not a lot of info out on those right now. Any of these you’re looking forward to? Let me know in the comments! I need to catch up on some of the YA adaptations! Everything, Everything and The Hate U Give are two of my favourite books, but I missed them in theatres and I can’t find them on any streaming site. Do you know if there is any way I can stream them, or will I have to buy or rent them? Yes, I can’t wait for more info to be released on it!